Tight control of blood pressure is important, even if proteinuria is not present. The current recommendations aim for a blood pressure reading of less than 130/80 if no proteinuria is present. If proteinuria is present, the blood pressure goal is lowered to 125/75. These are just general guidelines, however. In diabetic nephropathy, where higher than normal blood pressure often accompanies diabetes, it can be difficult in some people to maintain a top blood pressure number in the low 120s and a bottom number in the low to mid 70s. In addition to advocating lifestyle changes, your doctor may need to prescribe additional medications to lower the blood pressure. You will likely be asked to monitor your blood pressures at home; you should get into the habit of doing so if you are not already. In addition to lowering blood pressure, these two classes of medications also protect the kidneys, as they can reduce protein levels in the urine. Angiotensin converting enzyme (ACE) inhibitors and anglotension rear blockers (ARBs) work by blocking different espects of the RAA system, In doing so, they lessen the inflammatory response. Examples of ACE inhibitors include lisinopril (Zestril), enalapril (Vasotec), and ramipril (Altace). Examples of commonly used ARBs include olmesartan (Benicar), valsartan (Diovan), telmisartan dis) and irbesartan (Avapro). If your doctor prescribes a medication from either of these two classes, it is important to be aware of possible side effects. For instance, ACE inhibitors can cause a hacking type cough, which can occur any time after the medication is started. In a very small percentage of people, ACE inhibitors can cause a life-threatening reaction called angioedema (angie-o-edema), a type of allergic reaction which causes swelling of the tongue or vocal cords. If it happens to you, stop the medication and call your doctor or 911 immediately. Another possible side effect of ACE inhibitors and ARBs is an increased potassium level. About one week after taking the medication, blood work should be done to check the potassium level and monitor kidney function. A very high potassium level can affect the heart, so this needs to be watched closely. Some people with diabetes normally have higher-than-normal potassium levels, because diabetes can affect the kidneys ability to rid the body of excess potassium. If that is the case, you may not be able to take medications from either of these two classes. If you are unable to take an ACE Inhibitor or ARB, there are other prescribed medications that can decrease protein levels. A class of medications called the aldosterone antagoniss - spironolactone (Aldactone) and eplerenone (Inspra) - has been shown to reduce protein levels. Another medication called aliskiren (Tekturna) has shown a decrease in proteinuria in those who took it over a six month period. Other medications that can reduce protein levels are verapamil (Calan) and diltiazem (Cardizem), members of a class of blood pressure medications called calcium channel blockers. With them, your blood pressure, potassium level, and kidney function need to be closely watched, and you need to be aware of all of their side effects. A common side effect of spironolactone (Aldactone) is breast tenderness, which may require either reducing the dose or stopping the medication entirely. The calcium channel blockers listed here won't affect potassium levels. As medications in this class can slow your heart rate, your doctor will be watching your blood pressure and pulse carefully to be sure they don't drop too much. High cholesterol and triglyceride levels can affect kidney function through their effects on oxidative stress and worsening inflammation. Lowering these levels can help improve kidney function and overall health. In addition to lifestyle changes that can lower cholesterol and triglyceride levels - such as changing to more of a vegetable-based diet and exercising - commonly prescribed medication classes include fibrates, which lower triglyceride levels, and statins, which lower the "bad" or LDL cholesterol. Statins may also reduce protein levels and are thought to have an anti-inflammatory effect, as well. Examples of statins include atorvastatin (Lipitor) and simvastatin (Zocor). The fibrates include fenofibrate (Tricor). Blood work that monitors liver function needs to be done frequently after starting medication from either of these two classes. Call your doctor immediately if you develop unexplained pain or cramping in your arms or legs, as it may be secondary to these medications. An uncommon reaction in the form of muscle damage due to the medications called rhabdomyolysis (rab-doe-myo-lyciss) can develop; if severe enough, it can cause kidney failure. Statins can affect memory, and you should be aware of this, as well. There are some great books published by Square One Publishers concerning options for lowering cholesterol, including Natural Alternatives to Lipitor, Zocor, & Other Statin Drugs. But be sure to talk with your doctor before starting any medication to make sure it is okay to take with kidney disease. Concerning statins, pay attention to the dosage your doctor prescribes. Many of the side effects discussed above are seen with higher dosages, and dosage adjustments may need to be made if kidney disease is present. 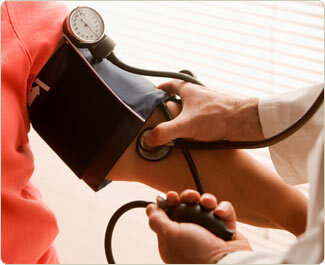 To find out more, you can check out Can Kidney Failure Cause High Blood Pressure.